After a week of village ministry, we settled down at the guest house in Soyama, preparing for the Bible Conference. 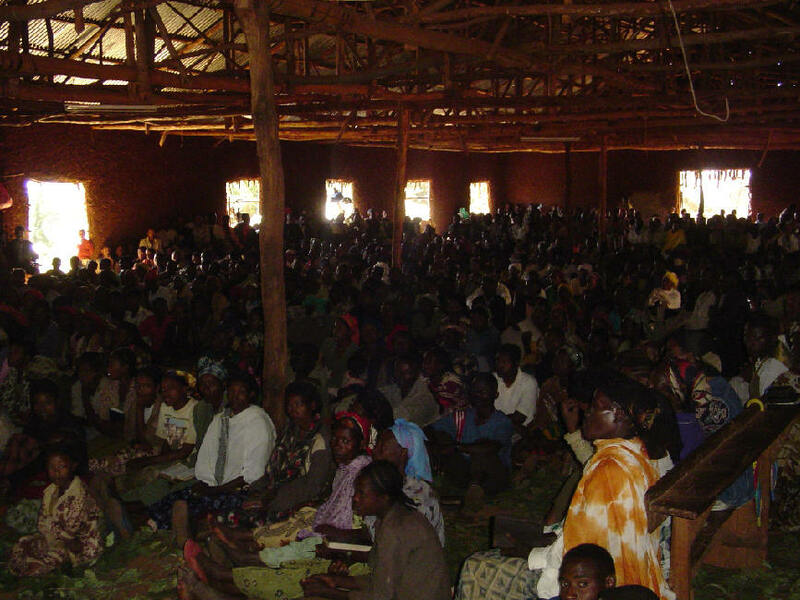 All the elders and leaders of the 26 churches in the Burji District were gathering to Soyama for a 3-day conference. As was their custom, each church group brought their own food and “camped out” in the unfinished Meeting Hall. They slept on large false-banana leaves and cooked over open fires outside the Hall. Dave spoke with the men on church leadership, how to study the Bible, and the book of Philippians. I spoke with the women on the Lord’s design for our place in society. These sessions were devoured, as they have so few coming to help them with in-depth instruction. There were two unplanned events during this time, which our Lord in His sovereignty put into these days. The first was that Dave became sick with bronchitis and then threw his back out, so he was able to teach only 2 of the 4 sessions, and I was elected to “preach” in his stead. The Lord gave me a message from Col. 3, a challenge to live out the truth that because Christ is our substitute, we were also killed, buried, and resurrected with Him; understanding this truth makes a difference in our values – we seek those things above, not things of this earth. The second unplanned event was the sudden imprisonment of the church bus driver. What was the charge? When he was going to get people coming from the country for the conference, he started the bus too early in the morning (at 5:45 am)! Imagine being jailed for days, without bail, on such a charge. To make a long story short, all the leaders (who were also our translators) were then at the police station and court house trying to get the driver out of jail. In true African fashion, we discovered that a mandate of sorts had come down from the high court: the police and lower courts were to make life difficult for the Christians. There are 6 trucks in the town; 5 owned by Muslims, and this truck owned by the church. The church had bought the truck because in past years the Muslim-owned trucks were refusing to transport the Christians, especially to church gatherings. The higher-up Muslims were determined to do what they could to impede our Bible conference. So they jailed the driver and seized the truck. This situation brought to light the dynamics of living under Muslim control. You see, even though the constitution of Ethiopia allows freedom of religion, the truth is that control is governed not by the constitution but by economic and judicial power. In the town of Soyama, there are no businesses run by Christians. All the businesses are owned by Muslims. The Christians are either poor farmers or are government school teachers. So all the “clout” in the town is in the hands of Muslims. The Islamic leaders in the Middle East have targeted to take control of Ethiopia, and they have developed five strategies to accomplish this goal. One strategy is to control all major commercial enterprises. So large amounts of money are being funneled from the Middle East countries to buy up (or set up) large commercial ventures in Ethiopia. A second strategy is to educate young Muslim men in the areas of political science and legal matters, so that these men can alter the political and judicial environment to be Islam-dominated. A few days after we left, the driver was released unharmed. The Christians had once again been “put in their place” and the conference with the “forengees” from America had been disrupted. It was good for us to witness these events first-hand. One of the desires of the church leaders is to have more business ventures owned by Christians in the town, but from where will the capital come for such ventures? Another unplanned event was the sudden death of a very, very old believer. This saint was born in northern Ethiopia. 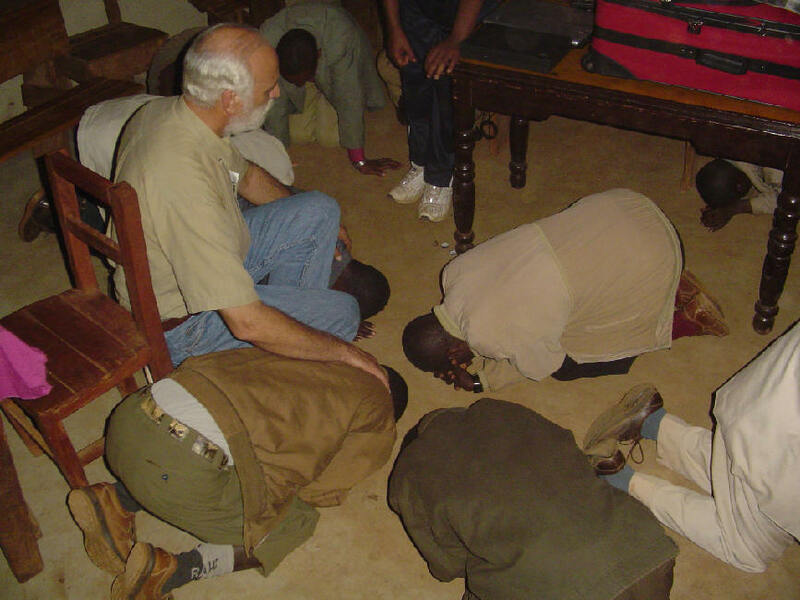 He studied as a priest with the Orthodox Church, and he came to southern Ethiopia as a missionary for that church. 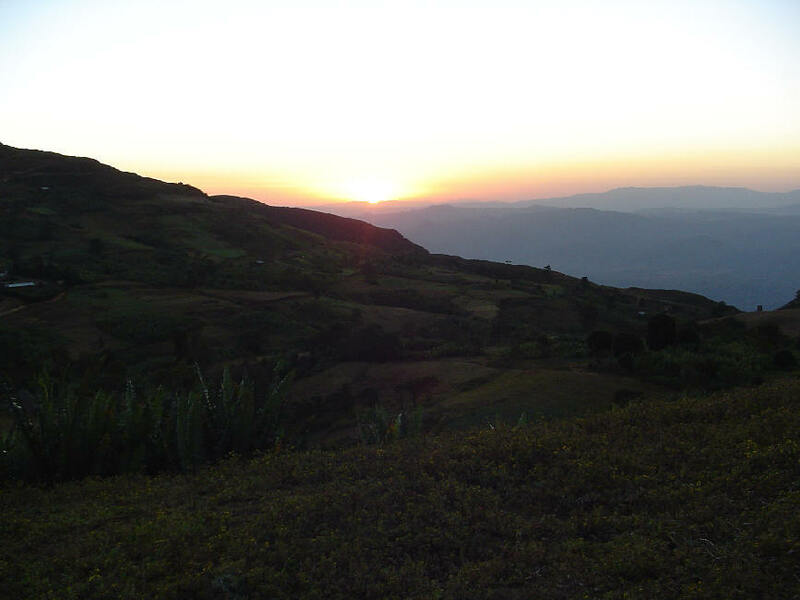 His testimony was that on his way south, he passed through what is now the capital of Addis Ababa. But when he passed through, it was a small village with only a few huts. The village was named Finfinnie. The capital was established here about 1886, so the best estimate of this man’s age was about 144 years! After he came to the Burji District, protestant missionaries led him to the Lord and he left the Orthodox Church. The Orthodox Church persecuted him severely, breaking all his teeth, etc. and his wife deserted him, taking his children. But he remained strong in the Lord, and was passionate about the Gospel. All his life he traveled from place to place telling the Good News. He was so loved that several communities wanted his body. Unbelievers in Burji wondered who would bury this man; he had no family. But in the Lord’s providence, this man had the most regal burial ever witnessed in the history of the Burji District! 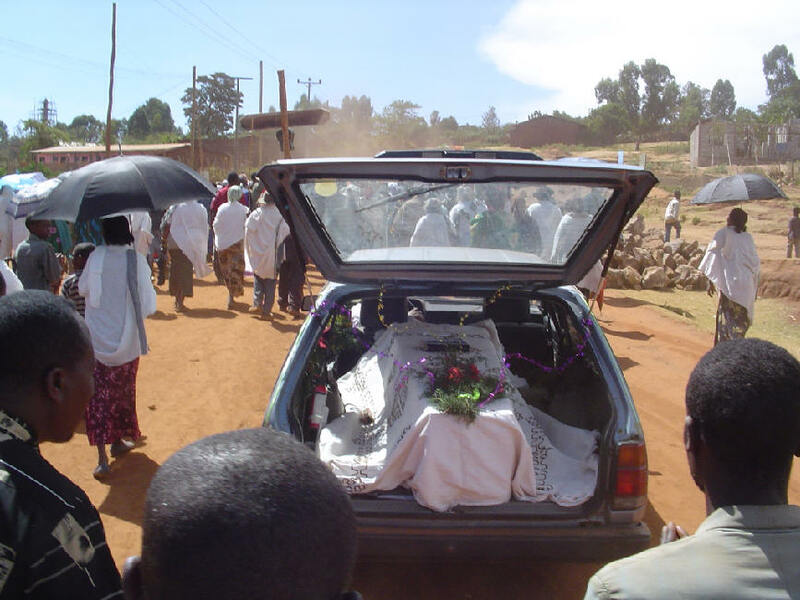 His casket was borne in a car to the cemetery, and he even had forengees coming all the way from America for his burial – both of which were “firsts” for this area of Ethiopia. 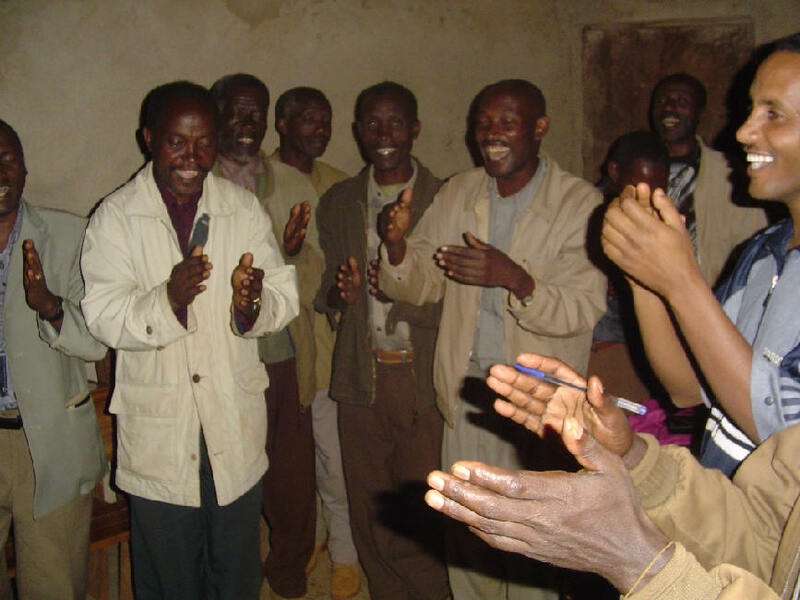 The burial of a Christian in Ethiopia is a time of great joy, celebrating the home-going and rejoicing in Jesus as the Resurrection. Believers came from all over the district (hundreds of them! ), dancing and singing around the car carrying the casket, rejoicing in this saint who had truly forsaken all to follow our Lord. 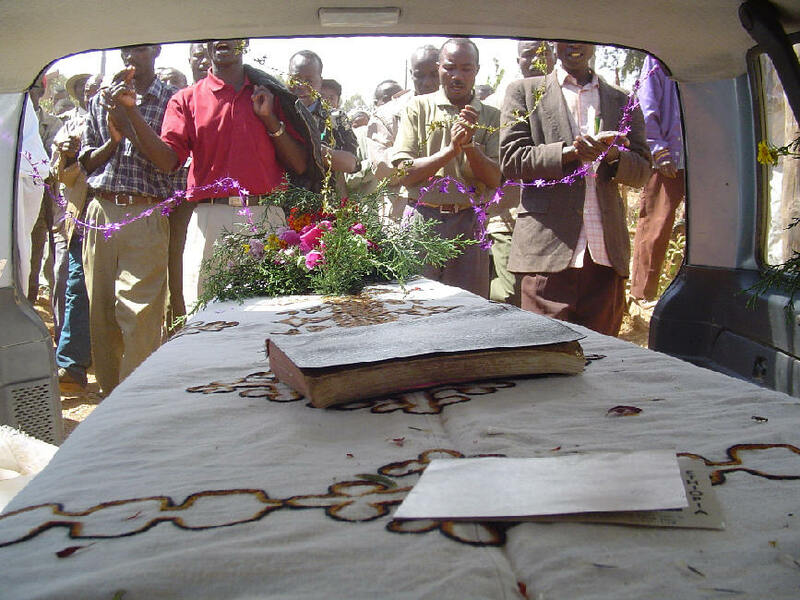 On his casket was some decorative ribbon I’d brought with me from the States, the prayer card of my parents when they first came to Ethiopia, his worn Bible, and beautiful bouquets of flowers that Fasil and I gathered from the fields. It was such a great honor for me to represent the foreign missionaries who had come to Ethiopia so long ago to bring the Gospel to this man. We drove slowly through the middle of town, surrounded by believers singing and dancing before the Lord. What a testimony of our Lord’s wonderful faithfulness and provision! He does not forget His own, even in death. We have received testimony from many of you that you were daily referring to our itinerary and prayer guide, and some of you were bringing us several times a day (!) before the Throne. Thank you for your diligence in this regard. Our Lord heard you, and He was gracious to answer. Only eternity will tell the rewards of this trip, as His Name receives praise over and over and over again for the great things He has done. To Him goes all the glory!